After years of litigation, we have a voter ID ruling. But two years after the most recent hearings on the political maps drawn five years ago, the judges who are supposed to be ensuring access to your right to vote haven’t ruled. Questionable election laws can have an unusually long shelf life. After years of litigation, Texas’ restrictive voter photo ID law is only now being weakened under court order — and it’s just a temporary fix. In an even better example of legal languor, three federal judges in San Antonio have been sitting on the state’s redistricting case since Rick Perry was governor of Texas and Democrats controlled the U.S. Senate. Two years after the most recent hearings on the political maps drawn five years ago, the judges who are supposed to be ensuring your access to what’s called The Franchise — i.e., your right to vote — haven’t ruled. Redistricting is map-drawing — the process of deciding which voters will vote for which politicians. That’s not what it’s supposed to be about; it’s supposed to be about drawing “communities of interest” from which people will be elected and sent to the capitals to represent us. But since those officials go to the capitals and draw the same maps from which they are elected and re-elected, it’s more about them choosing us than us choosing them. The Texas maps were drawn in 2011. Lawsuits quickly followed. Judges drew remedial maps to be used while the state’s maps were debated in court. Those maps remain in place today, ready to be used in their third general election. If the plaintiffs were happy with that judicial cartography, they’d drop their cases and go home. That they haven’t done so suggests they are unhappy with the maps. The state, for its part, adopted the court-drawn maps as its own in an effort to end the litigation in 2013. “We think the interim plan that’s in effect now continues to violate voting rights for Latinos and African Americans in a couple of parts of the state,” Hebert says. The clock is ticking. Plaintiffs worried that another general election cycle will slip past them in 2018 have asked the judges for a scheduling conference in September to get some kind of deadline on the calendar. “Such a scheduling order is necessary to avoid the potential for disruption of the state’s 2018 election schedule,” they wrote in their request a week ago. The state, on the other side of this fight, offered no objection, and there hasn’t been a peep from the court. As with the challenge to the state’s voter ID law, the redistricting case presents some risk to the state government — that the judges might decide Texas isn’t ready to operate without federal supervision when it comes to voting and election law. Democratic pipe dreams aside, it’s a skinny chance. Until three years ago, Texas and other states were presumed to be using new voting and election laws to discriminate — so much so that Congress required them to ask for permission from the Justice Department or the federal courts before implementing new laws. The notion was that lawmakers in places with a history of discrimination needed to be supervised or they’d revert to their evil ways. The list of states included in those so-called pre-clearance provisions was erased in 2013 by a U.S. Supreme Court decision — Shelby County v. Holder. As a result, new election laws can take effect without federal permission. That’s speeded things up. The voter ID law, for instance, was blocked by pre-clearance until that decision. It took effect shortly after, and the litigation that’s still underway began. The redistricting case was also rebooted by the decision, and then stalled a year later. It remains stuck. One might ask: So what? “People have the right to have their elections run without violating the Voting Rights Act, and the longer this gets delayed, the greater the chances that we will have future elections that will be run under illegal lines,” said Rick Hasen, an election law expert at the University of California, Irvine. “Slow” seems to be the operational speed of the courts in election and voting cases. The U.S. Fifth Circuit Court of Appeal’s ruling in the Texas voter ID case was made against a July 20 deadline set by the U.S. Supreme Court — apparently intended to get something legal in place in time for this year’s general election. The latest communication from the three federal judges in San Antonio came late last year, when they let the outside world know they wouldn’t be making any rulings on redistricting that would affect the 2016 elections. An earlier ruling on the plans by a different federal panel found intentional discrimination — the sort of finding that could return Texas lawmakers to the day when they had to seek federal permission before enacting new election laws. It is a major intrusion into states’ rights that is, according to the Supreme Court, only justified when things get way out of hand. Meanwhile, there is an ancient idea of how to protect voters from bad laws: Wake up the judges. 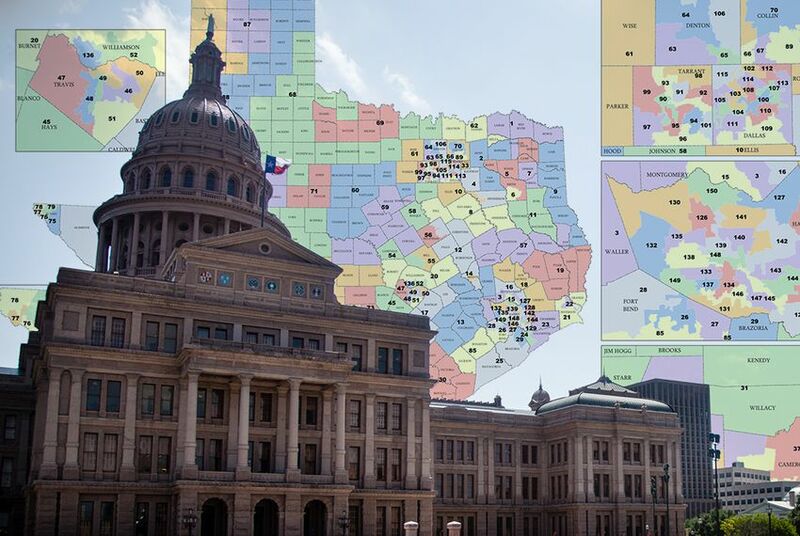 Correction: An earlier version of this column mischaracterized the state's position on court-drawn redistricting maps for Congress and the Texas House. The Legislature adopted those maps as state law in 2013.